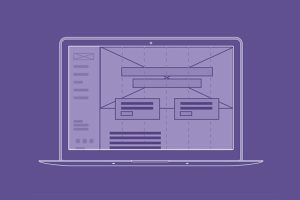 Bootstrap Framework templates are designed to help you kickstart the development of web apps and sites. 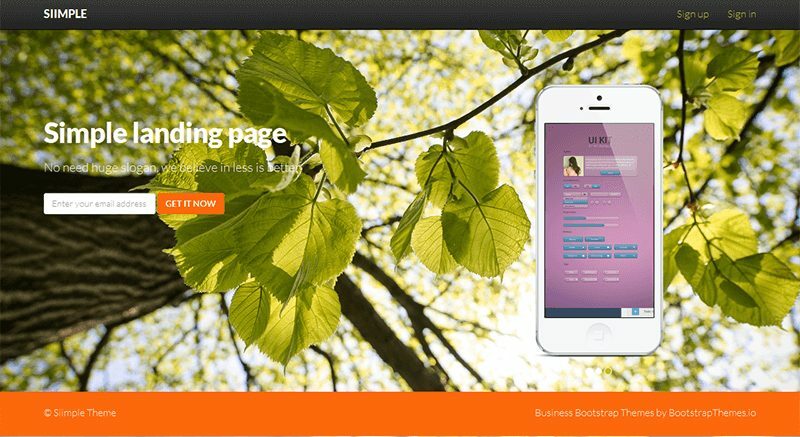 Bootstrap helps with responsive web design which is compatible with mobile phones, tablets and more. These templates can be used for any project you may have that needs a framework. We are aware that these templates and themes come in a various amount of styles. Each of these themes was exclusively chosen because of the design because of there structure and creativity. We want to make it easy for you to not have to worry to search online. 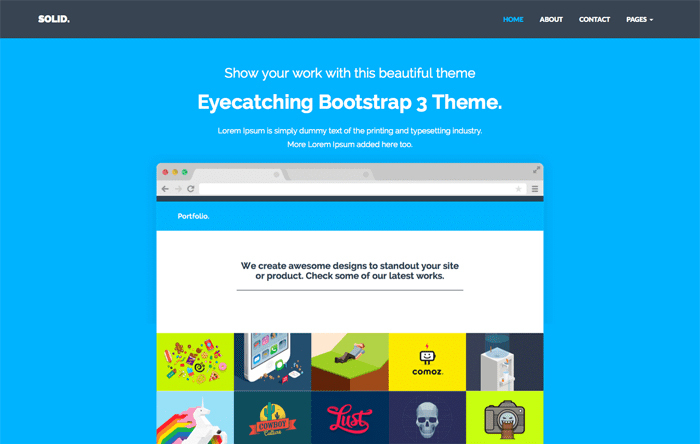 Instead, we have collected 25 bootstrap framework templates and themes that have been creatively designed that you will truly like and find useful. 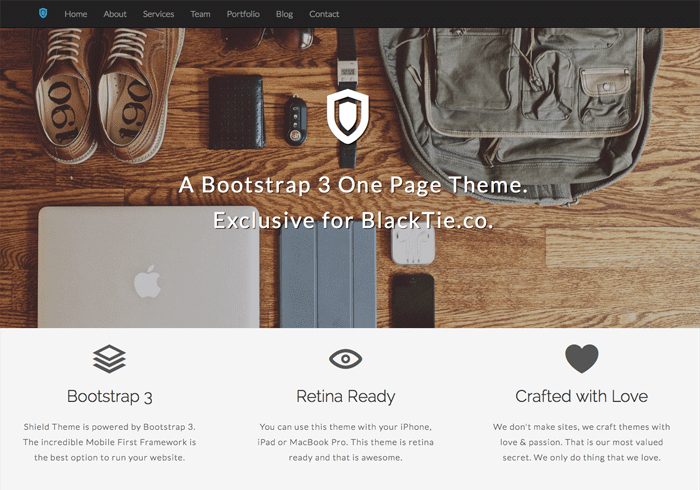 These bootstraps themes we have selected for you are comprehensive and easy to get going and gives you space for your new project. Note: All themes are open source and you can use them for any purpose as well as commercially. 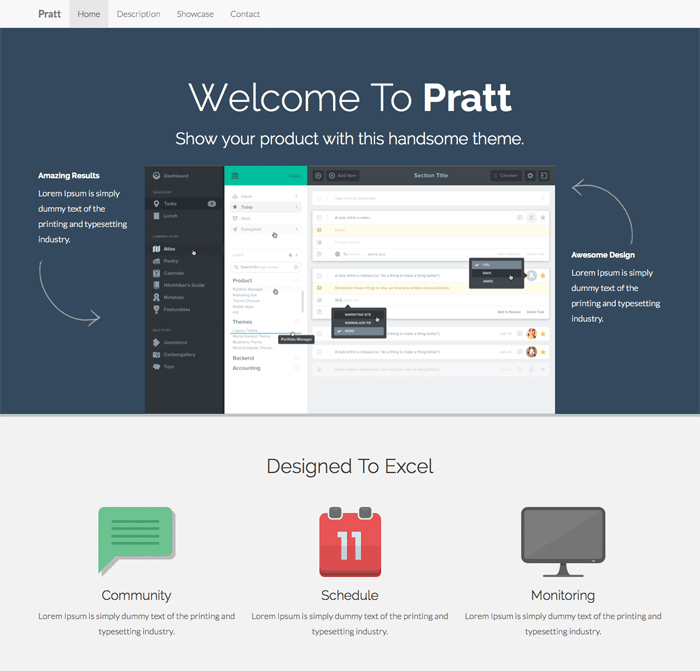 Pratt is a landing page that would work great for a coming soon page. It’s simple and nice for any business which can be easily modified. 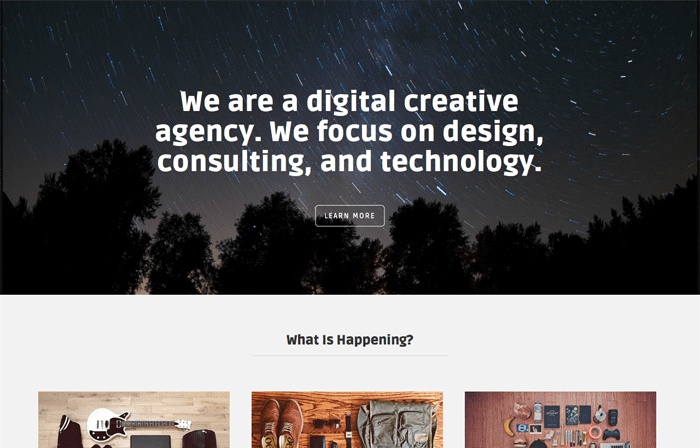 This one-page responsive template is optimized for retina displays such as iPhone, iPad, MacBook and iPod touch. This is best to be used for digital agencies or creative designers. This unique theme is a modern template that can easily be adapted to portfolios, coming soon pages and anything else you would need. 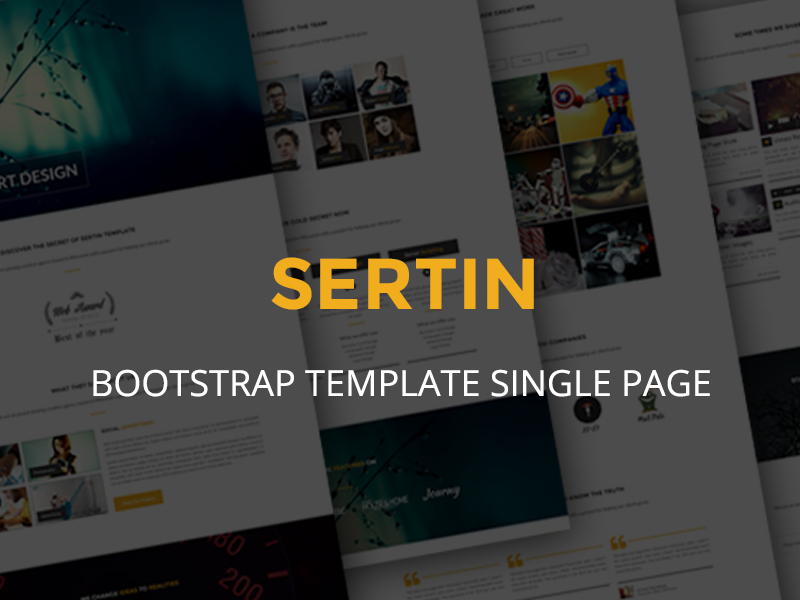 Sertin is a Multi-Purpose Parallax One Page bootstrap template which is clean and stylish with an extremely professional look. 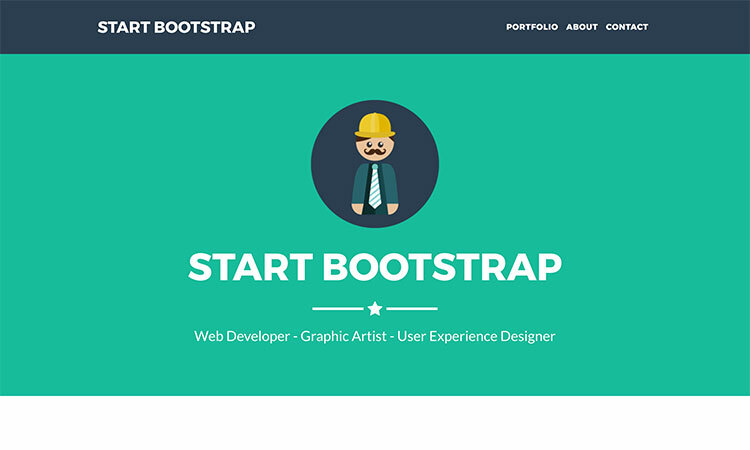 You can use this for a single page website, portfolio or even a web design company. Minimal is a unique, simple theme that is great for a contact page or a small site. A theme designed for someone wanting just information to there site. 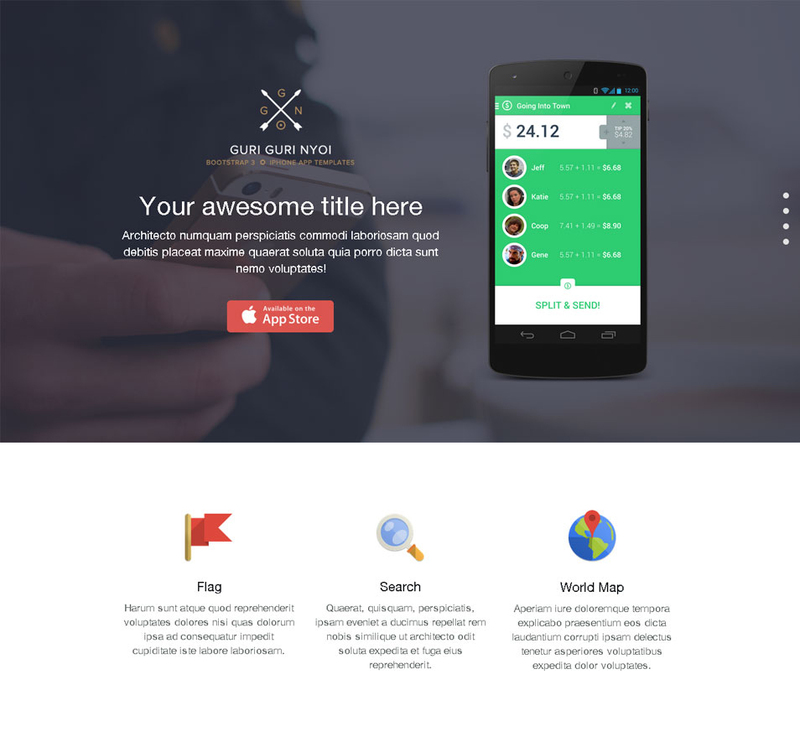 Solid is a perfect theme for freelancers that need a couple of pages. 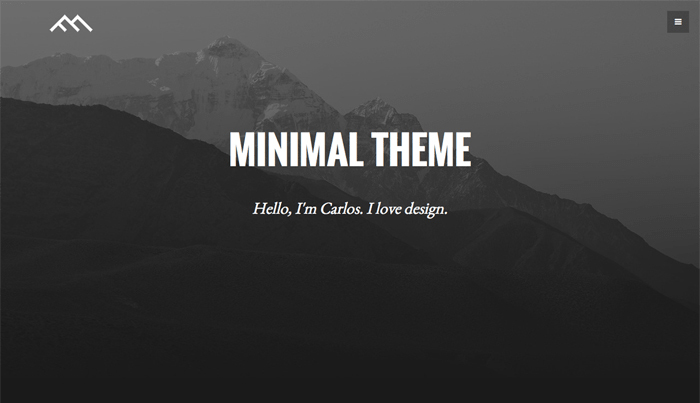 This theme comes with seven pages that are easy to edit. It also comes with retina display devices. 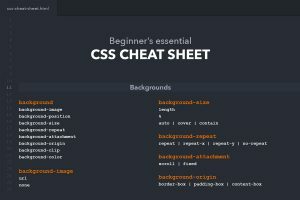 This Essentia Theme is a fully responsive layout which will fit your entire screen on your computer as well as your phone. 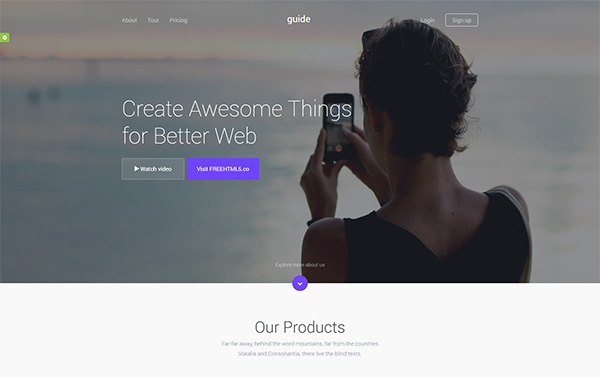 Guide bootstrap template is great for any startup page or any other project. This template includes wide layout and 8 color sources that you can design. This is a simple template that is perfect for just one-page design which is easy to configure. You can also use this page as a responsive design. 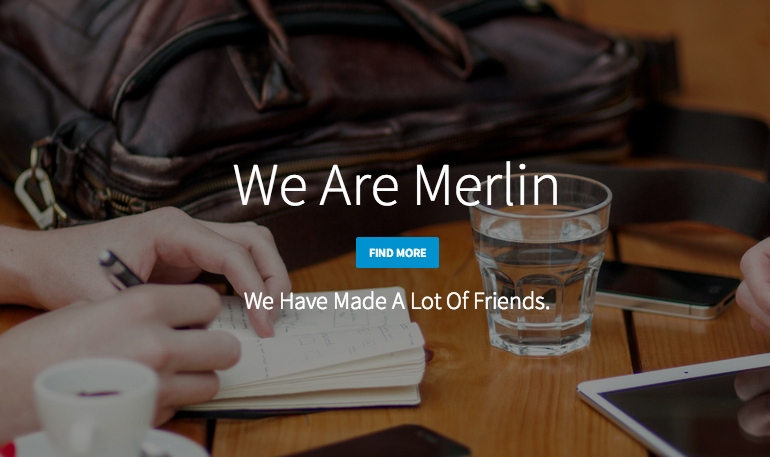 Merlin is another great single responsive page template that can be used for all purposes. 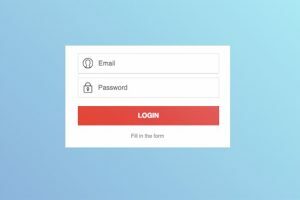 This landing page is easy to customize on photoshop and is great to use for your apple devices. 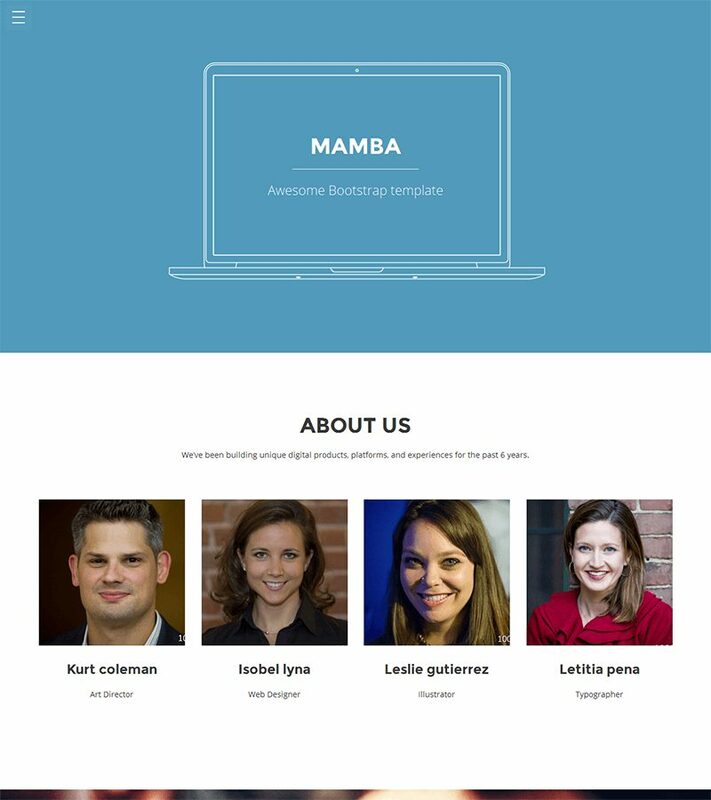 Mamba is flat and unique one-page template, that is perfect for doing a profile. It comes with very little navigation but includes effects. 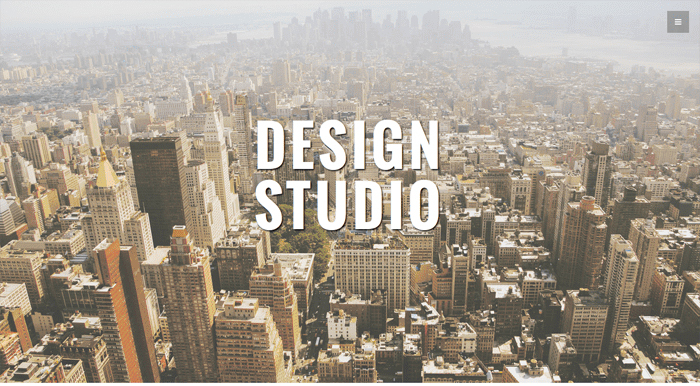 Studio is a unique simple theme that is great for personal sites or for an agency. This design comes with a great design. 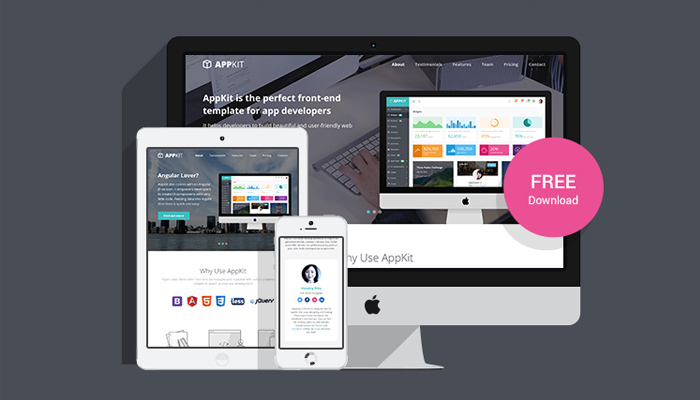 AppKit is a free theme that was designed to help startups and developers to promote their products as well as there business services. This is a perfect star up boot strap for free lancers especially web developers, graphic artist and more. Just how it sounds Lazystrap is simple for any fun project that you may have going if you don’t have much idea on how to build a site you will definitely be able to. 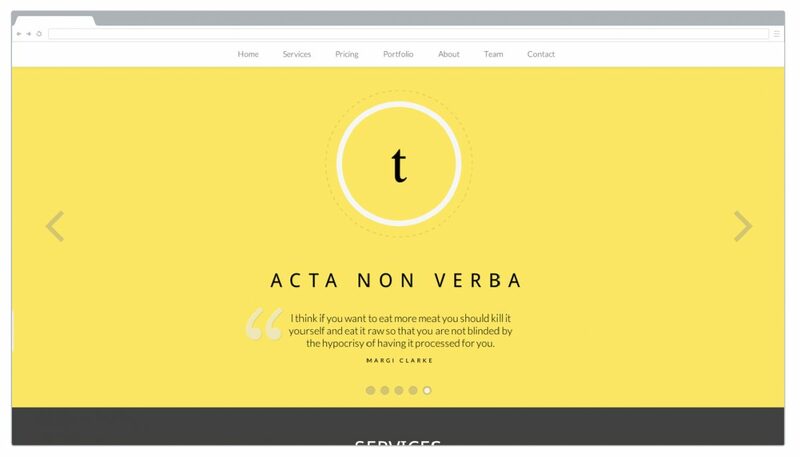 This stylish one page Marco theme is great for all freelancers and agencies that are wanting to show off there work. Magister is a great wide screen temolate that is built to showcase your work wether your a freelancer or any other project you have. 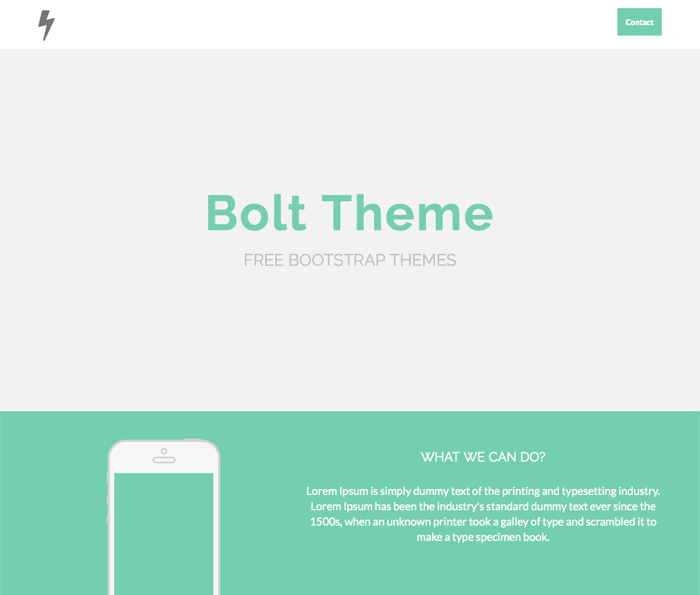 An elegant Bolt theme is great to show work as well as your personal information. It’s very clean and neat and includes all necessary fonts. 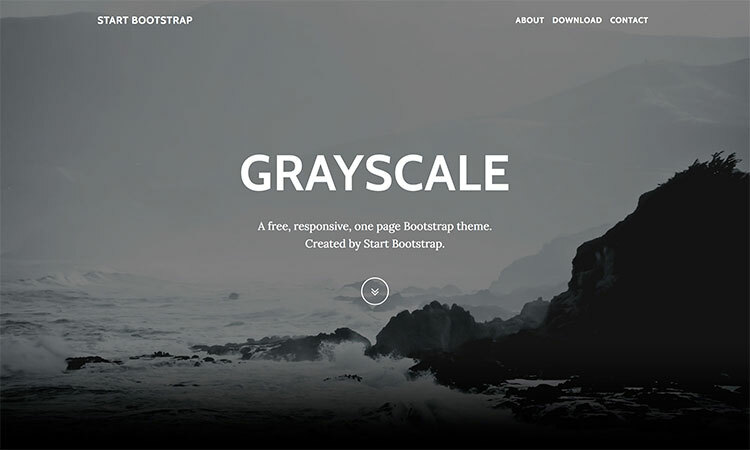 This multipurpose Grayscale one page website theme has a dark layout but a very a great scrolling animation. This can be used for a lot of different purposes. This a one page landing responsive page with customized social buttons. This modern style template is beautiful because of the colors and detail. 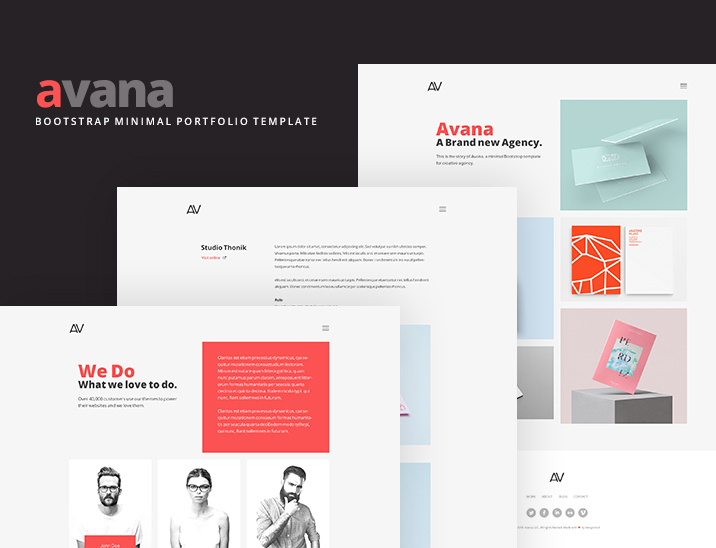 Avana is perfect to show off your work in a creative way which can be used for all sort of purposes from personal to business. 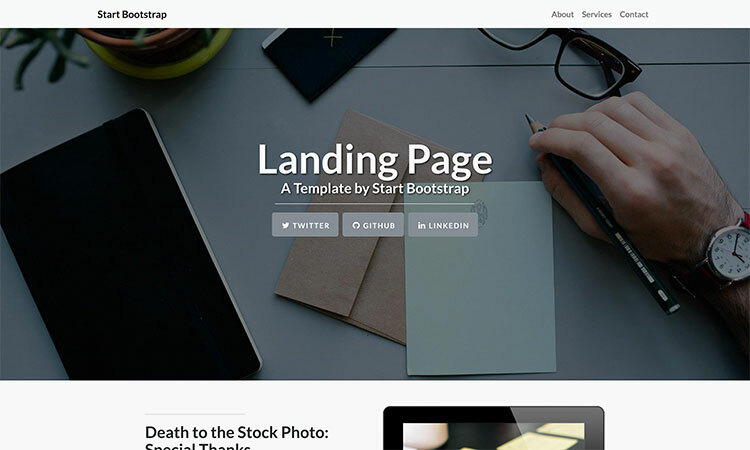 Siimple bootstrap landing page template is great to show off an app or if your selling on an item or if you are needing a sign-up form. It’s a simple template with great outlining. 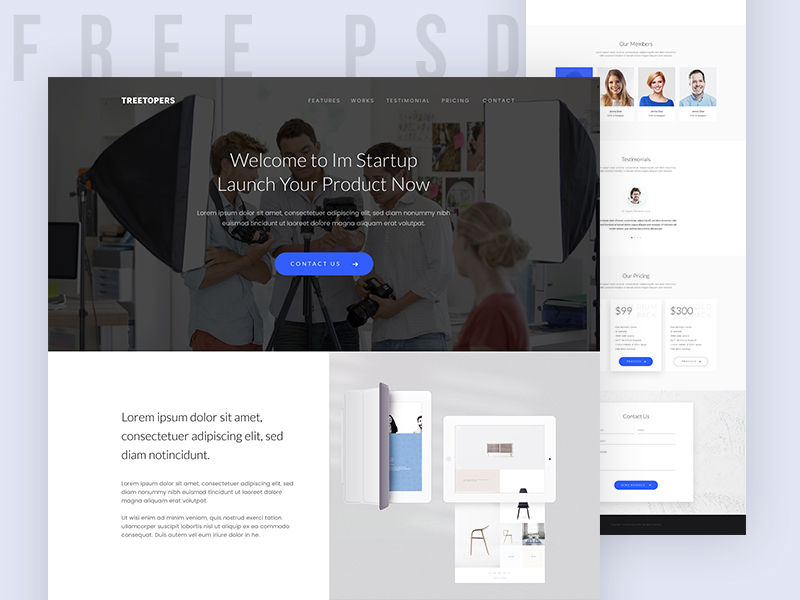 This is a one-page theme that is great for freelancers and other companies. It has a very fresh style to it and comes with the fonts included. 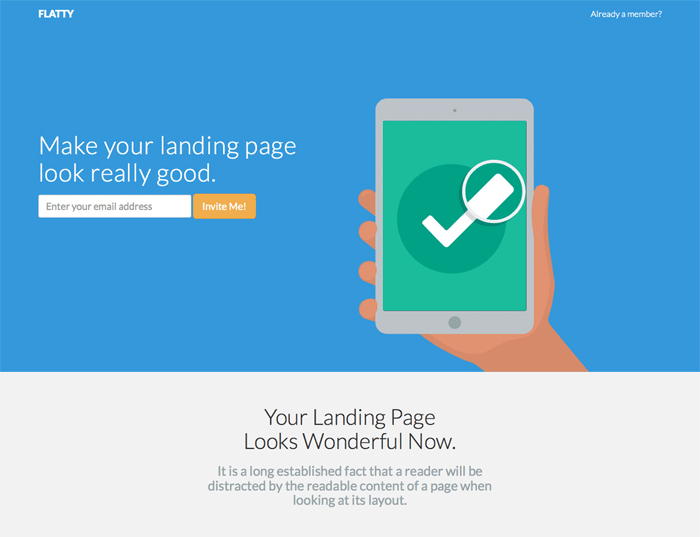 Flatty is a landing page that is customized to show your site, product or app. It’s not a detailed design but it has a very fresh look to it. We hope you have found the template or theme you needed for your project and that it goes well with whatever your showcasing. Stayed tuned for more updated information on our site and make sure to share with colleges.